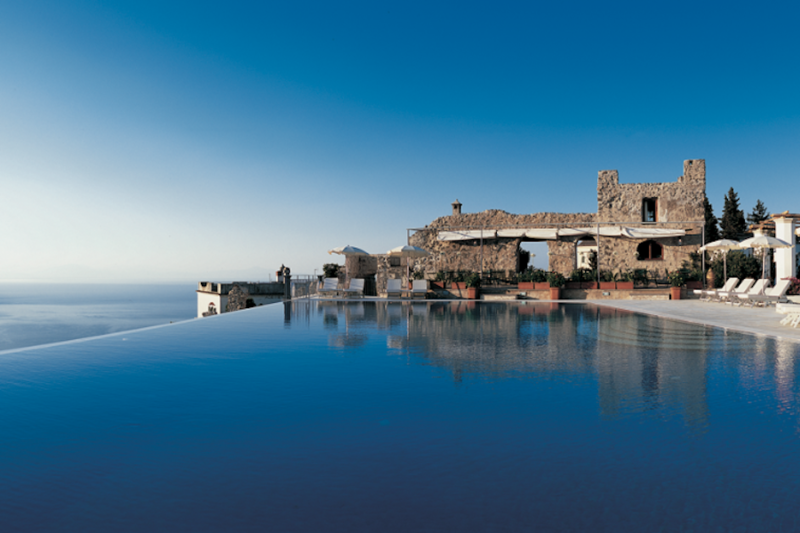 The Amalfi Coast's villa-lined hills and glistening beaches are beautiful from any angle, but hovering at 2,000 feet, Ravello's view might just take the cake. 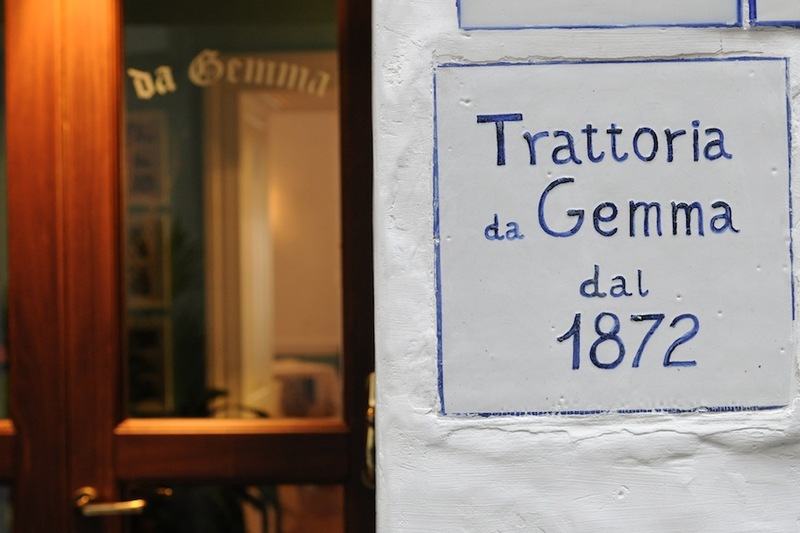 Gentedimontagna contributing editor Christina Ohly takes you there. 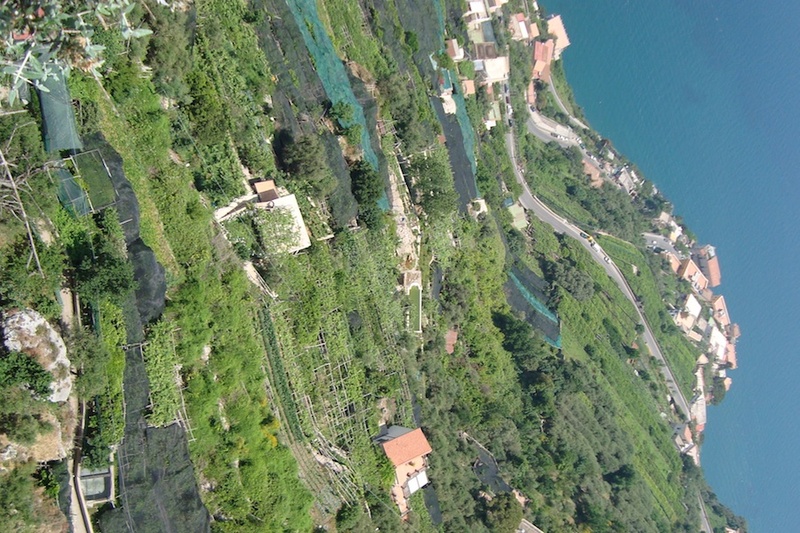 RAVELLO, Italy – Perched high on a hilltop overlooking the Amalfi Coast sits Ravello, a medieval village full of winding cobblestone streets, fragrant gardens, and breathtaking views of the Mediterranean. You will automatically dial it down in Ravello, where the day's major decisions tend to revolve around which concert to see or which catch of the day to order for lunch. Give yourself over to wandering the quiet streets and absorbing the art and culture that abounds on literally every street corner. 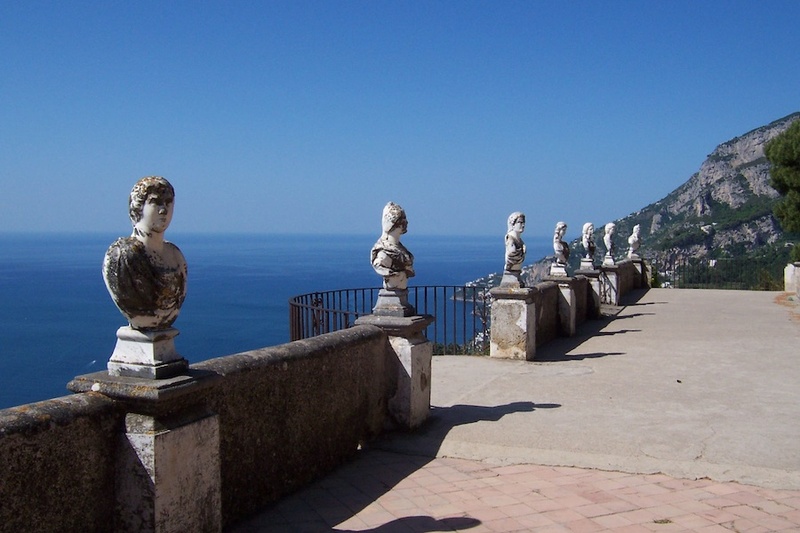 The view from the gardens of Villa Cimbrone. 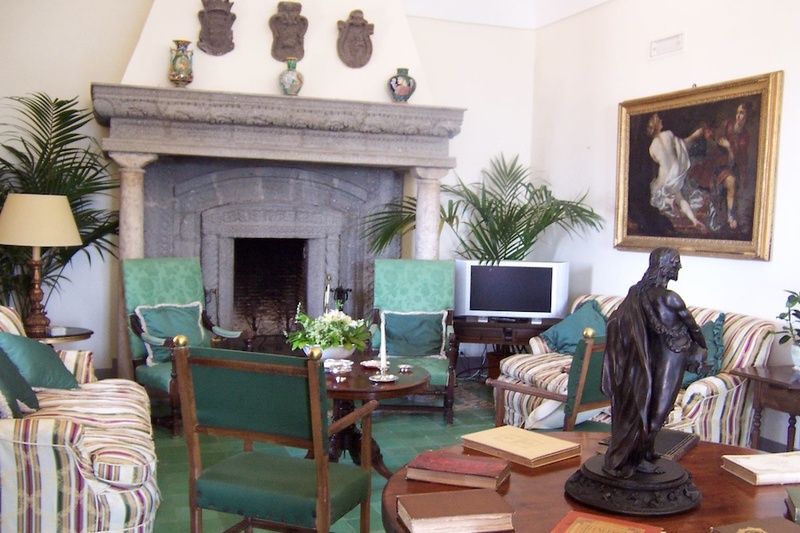 An interior shot at Villa Cimbrone. Don't miss the , a massive open space comprised of lush gardens, fountains, temples, and assorted follies that overlook the sea in the distance. Lovingly restored by an English lord, Villa Cimbrone is a quirky and wonderful place to relax, have a Campari soda, and enjoy an outdoor concert. Gore Vidal once described the panorama here as "the most beautiful in the world." It would be hard to disagree. Another spot worth visiting is the , a centrally-located former watch tower with a massive main tower, an important chapel, and a Moorish cloister with Arabic decorative elements. The piece de resistance is the promontory garden filled with fragrant blossoms that was once beloved by Wagner and is now the site of the famous . A detail of the pastel interior at the Duomo in Ravello. Several of the town's top-notch hotels offer spa treatments that become even more magical because they are performed outdoors under the shade of blossoming trees or in delicate white tents. Try or , with its holistic approach, and the truly breathtaking in nearby Conca dei Marini for the chic thermal baths. 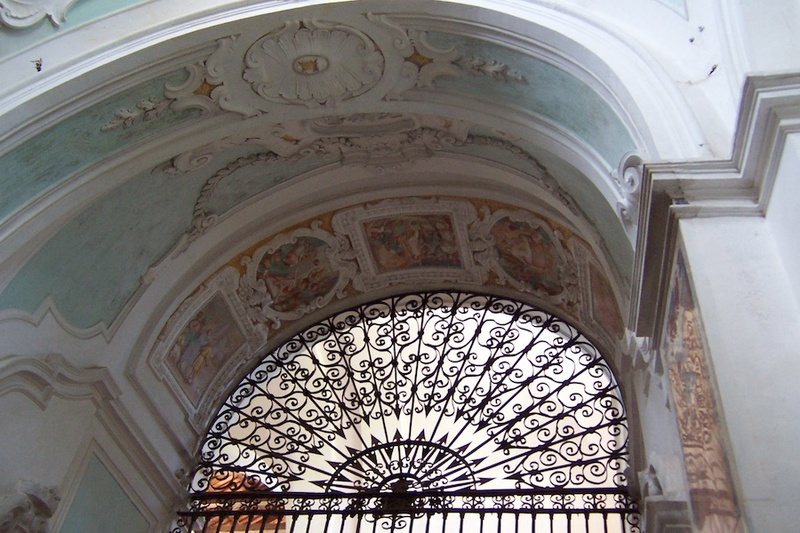 , built in 1087 and home to one of the most important bronze doors in Italy, is unmissable. Behind the bright white façade is a 14th-century sarcophagus, the chapel of San Pantaleone, that's notable for the glass, gold, and silver ampulla that contains the saint's dried blood that miraculously liquifies each year. (Don't ask.) This just might have been the trip highlight for my kids. You will be tempted to never leave your hilltop perch, but several towns along the Amalfi Coast are absolutely worth the drive. 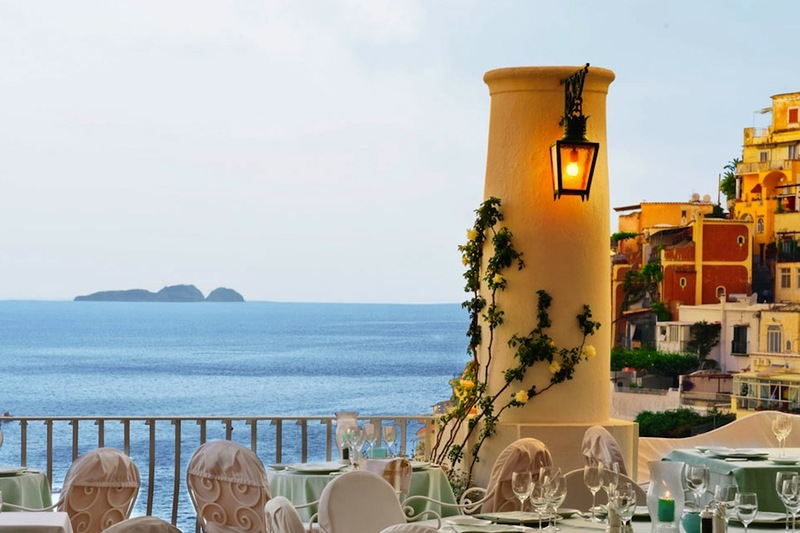 Positano can get ridiculously crowded, but stop in for a lovely for a lunch at the legendary hotel , then take a short stroll down to the port. My favorite areas, however, were the off-the-beaten-track towns Cetara and Atrani. 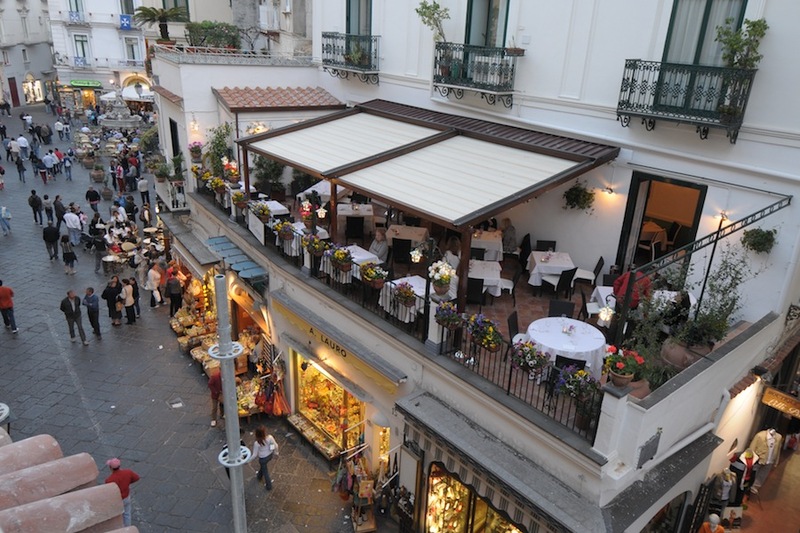 Both are wonderful for local color, picturesque piazzas, and fantastic seafood restaurants. 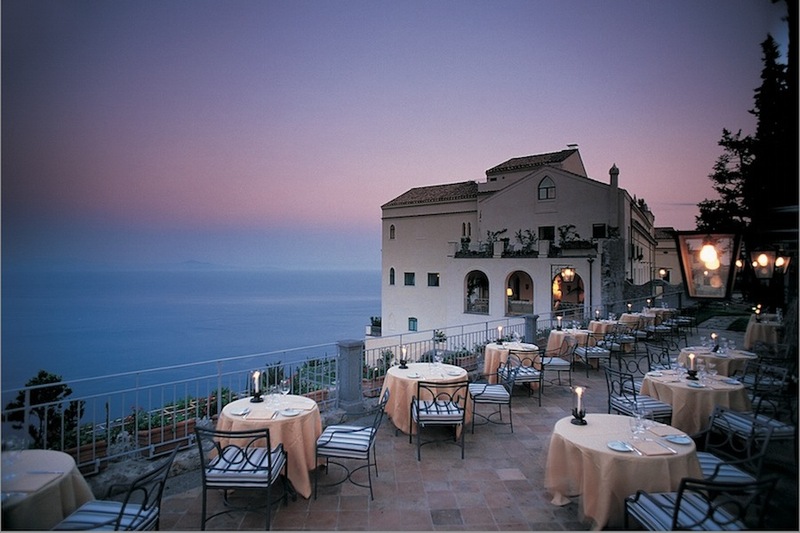 in Cetara is impossible to beat, and in Atrani serves incredibly fresh spaghetti alle vongole by the sea. Be sure to book your tables in advance. Cathedral of the Apostle Saint Andrew in Amalfi. Amalfi may be a gritty port town, but it's absolutely worth a visit for the Cathedral of the Apostle Saint Andrew. A mix of romanesque and baroque elements, the cathedral is reached by an imposing staircase and has a colorful facade with glittering gold mosaics. 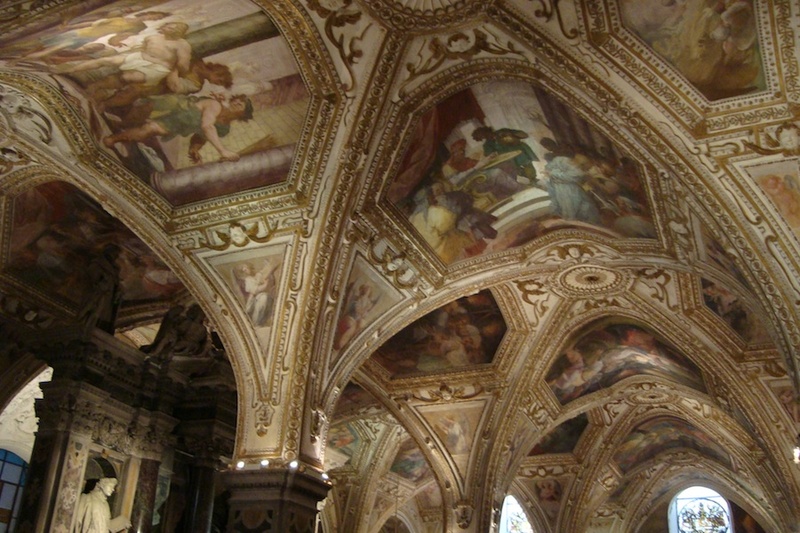 The interiors are no less impressive, with coffered ceilings, a mother of pearl crucifix, and a massive sarcophagus that is just one of the many highlights. Photos of da Gemma courtesy of the restaurant. Amalfi brims with sweet white houses, endless terraces, and winding streets full of alleys and small shops. You could spend a whole afternoon exploring , an incredible boutique full of papers, prints, and etchings, followed by one of the best meals you're likely to eat — in Italy or anywhere — at . This was a Michelin-esque surprise, complete with a reinterpretation of the classic Caprese salad, as well as a pleasant terrace setting overlooking the bustling street below. The fascinating archaeological ruins at Pompei, the Greek temples at Paestum, and the natural beauty of chic Capri and Ischia are all ferry or car rides away. 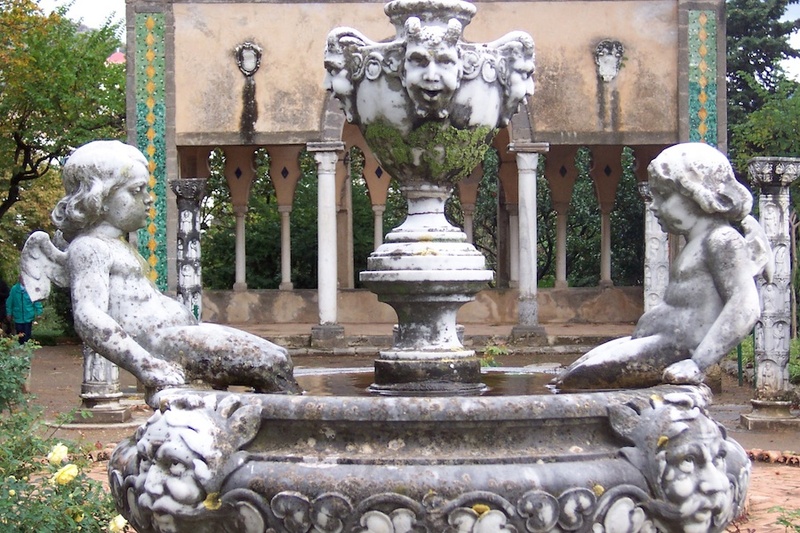 A detail at Villa Cimbrone. Michelin stars abound here, but it was the simpler trattorias and pizzerias that captured my taste buds. The breakfast spread at the Hotel Caruso is simply impossible to beat: house-baked bread, fruits of all kinds, lavender-infused honey, fluffy omelets and crispy bacon cooked to order. With the sunny patio setting, there is no reason to venture elsewhere. Of all the meals we ate on this gastronomic power tour, our favorite by far was lunch at the Pool Restaurant at Hotel Caruso. They pride themselves on their wood-fired pizzas — the Vesuvio with fresh rucola and tomatoes was a crowd-pleaser — and invite kids into the process of making these perfectly crusty pies. The substantial salad bar has all sorts of tomatoes, local tuna and langoustines, endless breads, and the freshest gazpacho. It is the whole relaxed feel here — under the Mediterranean pergola, overlooking the infinity pool and the mountains beyond — that makes this spot so special. Belvedere means "lovely view," and they're not kidding. Photo courtesy of Hotel Caruso. Do not miss a special meal at , where chef Mimmo de Raffaelle made us feel like royalty with unique appetizers, interesting preparations of classic Neapolitan dishes, and the simplest grilled seafood sampling I've ever tasted. Views of the azure sea, insanely good desserts, and petits fours complete the magical experience. Just off the main piazza (Via Roma 44–46 +39 089 857-156), it's right out of a movie. The family-operated trattoria serves simple food in a relaxed setting overseen by a grandmotherly figure who just screams Italia! — meat from the family butcher, house-made pastas (gnocchi is a standout), and grilled langoustines. All delicious. Jackie O. originally made this one famous, and it is still worth a visit today. If you're craving a simple pizzeria with a relaxed vibe, look no further. Antipasti, lasagna, and endless variations on a pizza. 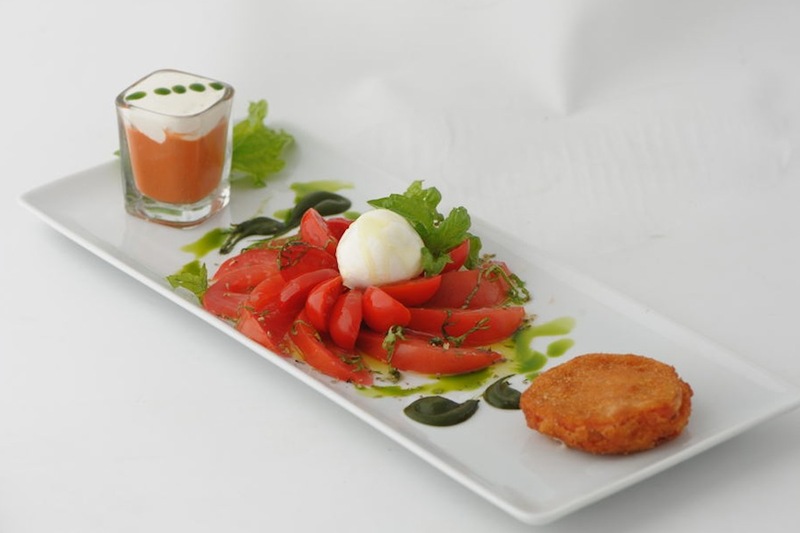 Personal favorite: Ravellese, with cherry tomatoes and zucchini. Now that's a hotel room. Photo courtesy of Hotel Caruso. The best, in my humble opinion. A former 11th-century palace that has been restored to include 48 rooms and suites, many with original architectural details and frescoes. Our room was spacious, with stunning water views and every imaginable amenity. The highlight here, however, is the incredible staff — just the kindest people I've found in any hotel, and incredibly efficient, too. Tip: Don't miss a world-class massage en plein air as well as stroll through the wisteria-laden pergola on your way to the gorgeous infinity pool. Another beautiful option. This former 12th-century villa houses 18th-century antiques, Frette linens, and the Lobster & Martini Bar, which, as the name implies, serves both of these delicious things as you watch the spectacular sunset. The view downhill from Ravello. I'm not usually one to enlist the help of a travel agent because I prefer to go it alone. But in this instance, I relied on the help of London-based Emily Fitzroy of . Her exquisite taste and firm command of the intricacies of the Italian transfer (planes, cars, ferries) made our trip seamless. She is truly an expert resource for this part of the world. Fly: The closest international airport is in , which is roughly one hour by car. (The roads here are unpredictable at best.) Alternately, you can get to Ravello by ferry to Amalfi.